What is Market America Realty Group Thinking with this FREE Thing? 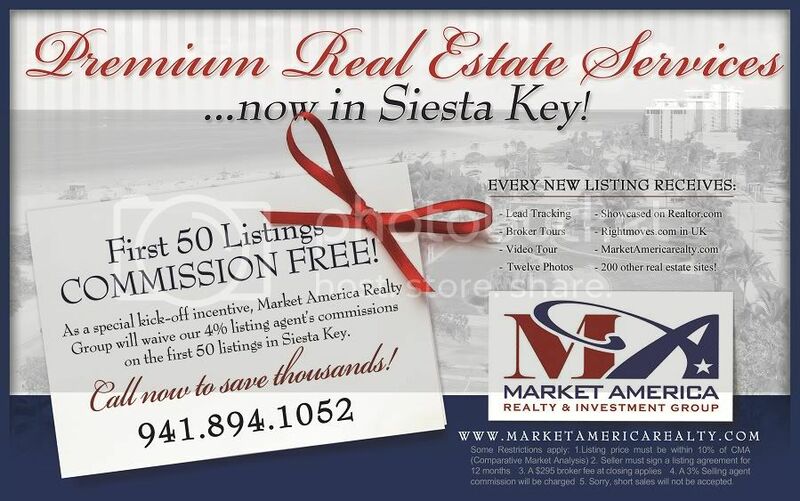 “Market America Realty Group has offices in nine locations throughout Florida, with a satellite office in Canada. The Foreign National Market, especially in Canada and Asia, is huge. We are now offering Florida Properties in seminars in Toronto, Malaysia, Singapore, and Shanghai,” declares Fous. In order to manage this large number of inquiries that they receive, they implemented integrated customer relationship manager (CRM) software into which client service coordinators input all of the data on each client, their contact information and what type of home they want to buy. They then keep in steady touch with that customer. This is what gave us the concept of listing free commissions in Siesta Key. It’s about making the phone ring with the right type of listings. An interesting thing has happened, however. The REO business is now a smaller percentage of our business. What I call standard retail – the conventional seller and buyer – are an increasing part of our business. We recently put 7 condos under contract. None were REOs. All were our inventory, retail inventory. Normal margins. Not 70% of 50% of 5%, like in the REO business. It’s a great cycle: inventory gets us clients, clients get us inventory. As the cycle turns it gathers momentum and size like a snowball going down a wet, snowy slope. The quality of the inventory is also important. This is why we put the “within 10% of a CMA restriction on the free listings." I want inventory that will sell AND make the phone ring. An overpriced listing will do neither. Market America has a two BPO (Broker Price Opinion) departments that just do BPO’s. This way, there is no way the price can be influenced by an anxious seller or his agent. (To order a BPO, contact bpo@marketamericarealty.com ). We charge $75 for a BPO, but this charge can be waived if we list your property. Currently, we have two BPO departments - one in our Fort Myers office and one is in Sarasota. “When I mention my free listing program to other agents, one of the comments I hear is, “But that will upset of a lot of agents!” smiles Fous. Why? Because they didn’t think of it first? The selling agents will still get their commission and I bet we sell at least half of our own listings. I am not really worried too much about the other agents. I think this is smart business. Do I want to work for free? Of course not. This is a limited time offer with a limited number of free listings, and they are in a concentrated market.